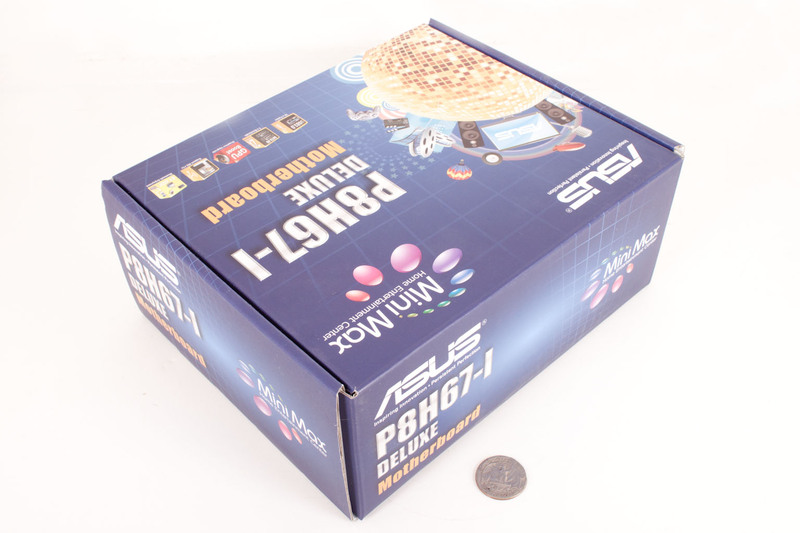 The Asus P8H67-I Deluxe comes in a fairly small box. This is not unexpected as the Mini-ITX form factor is not big and really does not require a lot of space. The front of the box makes it very clear that this line of products is aimed at entertainment. There are some icons near the bottom that also show off some of the extra features that you get with the P8H67-I Deluxe. The back of the box offers a specification sheet along with a picture of the board. One item of note here is the GPU Boost that is listed on the back of the box. If you are familiar with Asus’ CPU Level up then this will be very familiar to you. It is essentially the same type of technology but aimed at the built in GPU on the Sandy Bridge CPU. Added to this nice feature is a real front USB 3.0 header. 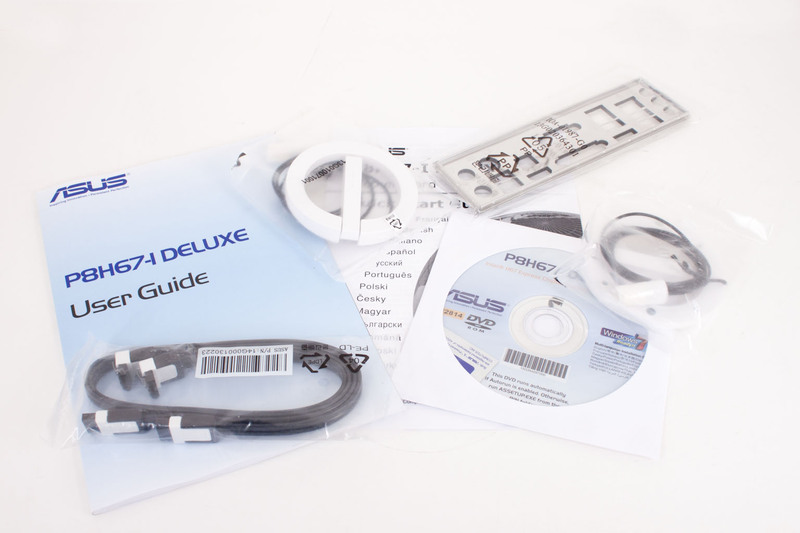 However, now is not the time to talk about all of the features of the P8H67-I. 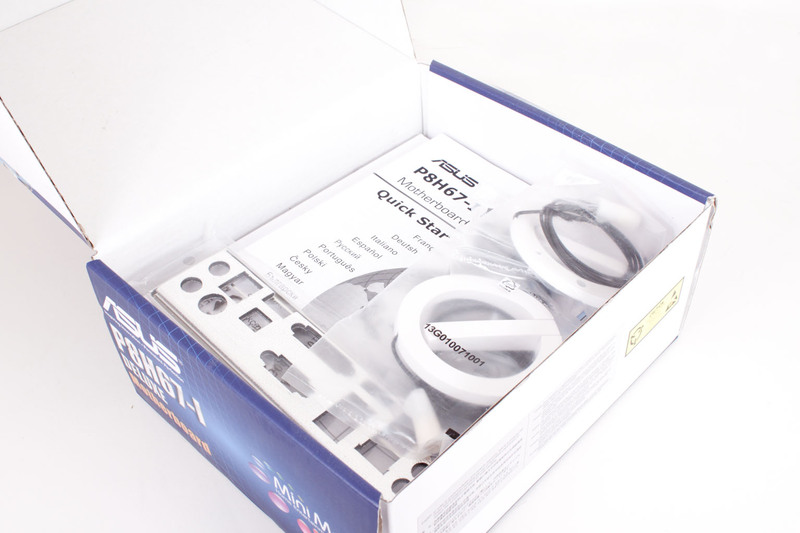 Asus has put in a decent haul of goodies in the box; you get everything you need to get going. One thing I do wish they would put in with this series is the padded I/O Shield. Asus calls this Q-Shield and it would be very welcome especially considering the small and cramped cases you usually work in this this sized board. You also get a pair of Wireless antennas for the MIMO enabled n-Spec Wireless card that is connected via a micro PCIe slot on the board (more on that later too). In all it is not a bad package and certainly one that will attract someone looking to build a solid HTPC. 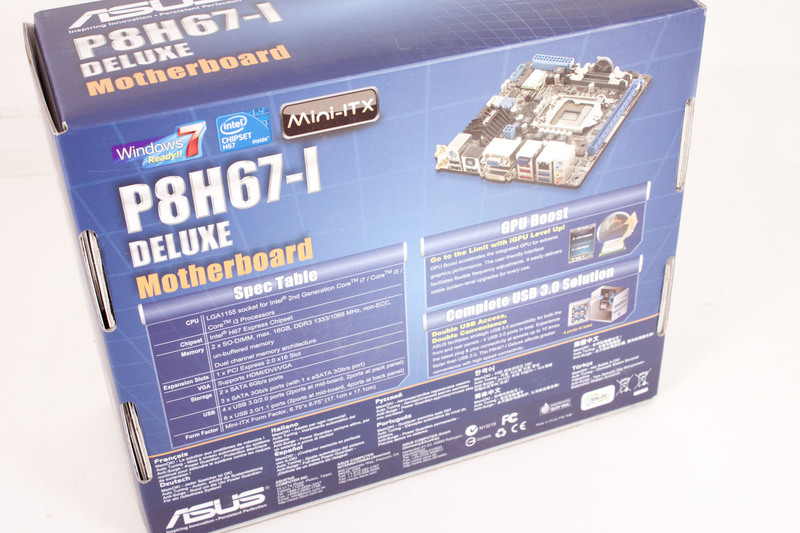 Now we will see how the Asus mindset approached the layout and design of the actual board.